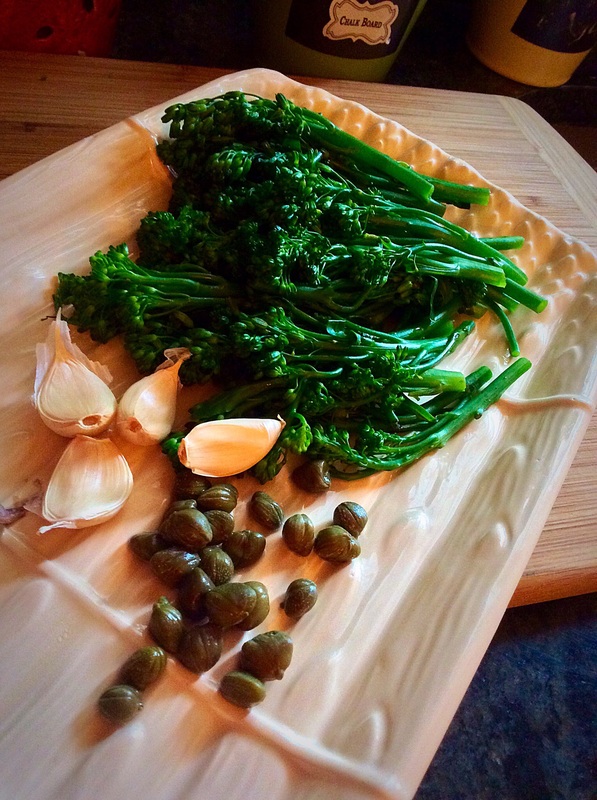 I love broccolini and one of those lovely little bunches (enough for two) blanched for two minutes, cooled, drained, and patted dry ready for a final sauté with olive oil, anchovies, hot red pepper or red peppers, capers and garlic. The final step is to add fedelini pasta toss together heat through and serve with some freshly grated cheese. I have a 1/2 a bottle of red wine left and I just might make some red wine pasta for the other small head of broccolini for my dinner for one. 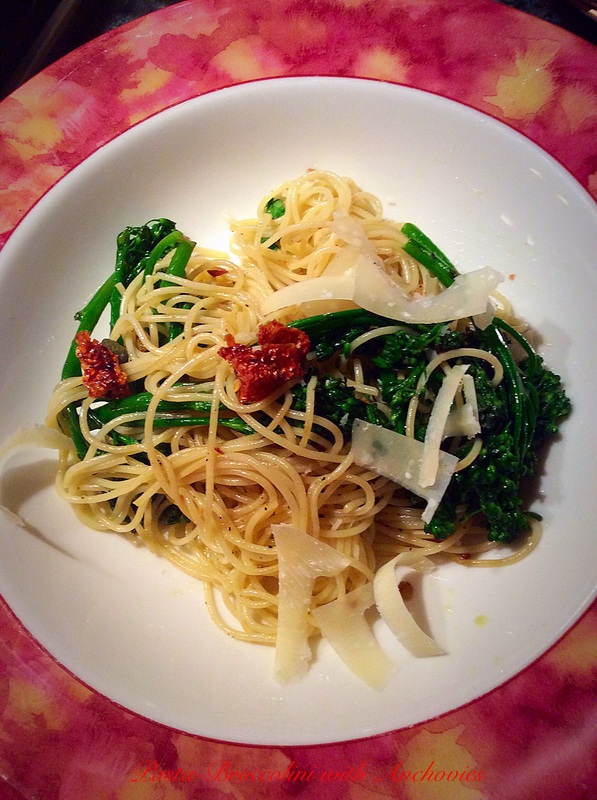 Posted on March 5, 2015 by ibbeachnanaPosted in Meatless Monday Recipes, Pasta Main dishesTagged broccolini.